In an unsealed indictment, the U.S. accuses Julian Assange of conspiring with Chelsea Manning in a 2010 WikiLeaks release. American officials had debated bringing charges against Julian Assange almost from the moment in 2010 that his organization WikiLeaks dumped onto the internet a historic trove of classified documents, including internal State Department communications and assessments of suspected terrorists at Guantanamo Bay. But through the years, the case languished. Some prosecutors reasoned that Assange was arguably a publisher, if a capricious one. Concerned that proving a criminal case against him would run up against the First Amendment and, if successful, set a precedent for future media prosecutions, the Obama administration chose to put the case aside. In 2017 – after WikiLeaks exposed CIA hacking tools and stirred political chaos by releasing Democratic campaign emails – the government began to take a more aggressive tack. Under then-Attorney General Jeff Sessions, prosecutors dusted off the investigation and discussed how the anti-secrecy organization’s founder could be charged without running afoul of press freedoms. Under the federal law governing computer crimes, prosecutors faced a deadline to file charges within eight years of the 2010 disclosures that put him in their crosshairs. The single-count indictment unsealed in Alexandria federal court Thursday shows they did so just under the deadline. It accuses Assange of conspiring to help former Army intelligence analyst Chelsea Manning crack a password so she could log on to a Defense Department computer anonymously. The indictment does not include evidence that Assange and Manning succeeded. 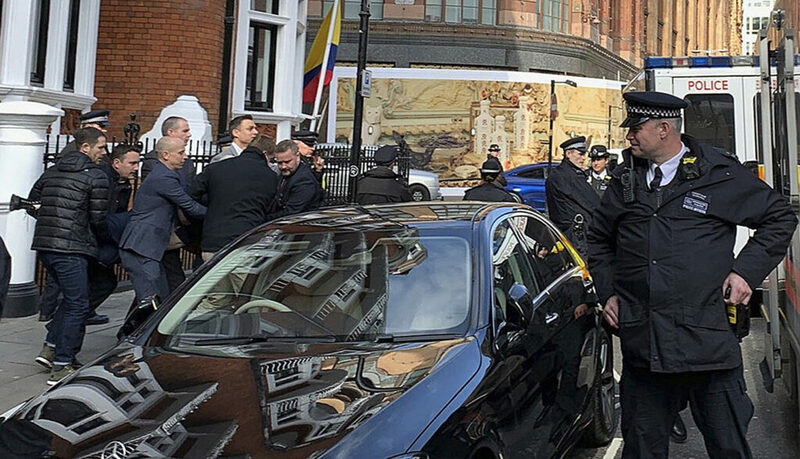 Ryan Fayhee, who previously worked in the Justice Department’s counterespionage section, said the charge also probably will make it easier to extradite Assange, who was arrested Thursday morning at the Ecuadoran Embassy in London after years spent in asylum there. More charges are probably forthcoming; prosecutors have 60 days to present a final case to authorities in Britain. The grand jury investigating Assange is still active, and Manning is being held in jail for refusing to testify before it. The Virginia prosecutors have also been in touch with federal prosecutors in New York who are probing the disclosures of CIA cybertools, according to people familiar with the conversations. The same U.S. attorney’s office in Manhattan had in 2011 started to develop a hacking conspiracy case against Assange based on WikiLeaks’ possible efforts to embarrass the Icelandic government, according to several former senior law enforcement officials. Prosecutors had hoped to build a case against Assange by charging and then flipping one of his Icelandic associates – and had even drafted a complaint to do so. New York was told to stand down because Virginia was pursuing an espionage investigation, those former officials said. Special counsel Robert Mueller also accused Russian intelligence officers of working with WikiLeaks to disseminate Democratic emails in 2016. But prosecutors in Alexandria, Virginia, have not indicated that their case goes beyond the 2010 leaks. The indictment relies heavily on online chats between Manning and Assange that were first produced during her 2013 military trial. Manning told Assange in a March 8, 2010, chat that she was “throwing everything” she had from Guantanamo detainee reports at him. Manning asked Assange soon after if he could help crack a password, according to the military court records. Before the interactions regarding the password, Manning had already given WikiLeaks hundreds of thousands of classified records. The material included four nearly complete databases, according to prosecutors, including 90,000 reports from the war in Afghanistan, 400,000 reports from the war in Iraq and 250,000 State Department cables. While not charging Assange with any other crimes, the indictment includes as “part of the conspiracy” conventional journalistic practices, including communication over an encrypted messaging service and the transmission of documents through a cloud service. Manning was found guilty of espionage, theft and computer crimes in 2013; her 35-year sentence was commuted by President Barack Obama in 2017. In fighting the grand jury subpoena, Manning told reporters that she already gave “voluminous information” to the government at her military trial and had nothing more to offer. Prosecutors disagree, saying in a recent filing that she has never fully revealed the extent of her interactions with Assange. Manning told the military court she only began sharing information with WikiLeaks in February 2010 and did so entirely on her own initiative. Military prosecutors argued that the relationship started months earlier, not long after Manning deployed to Iraq. 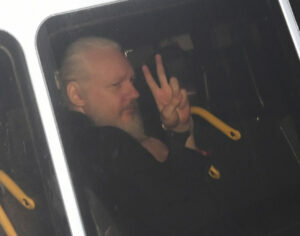 Assange is set to next appear in court in London in May.